As a society we are comfortable, probably too comfortable, noticing our differences, and pointing fingers at others who are not like ourselves. It’s time we start realizing individual potentialities for greatness, success, and achievement, no matter the differences. In lieu of autism awareness month and as a licensed Social Worker I thought I might shed some light for parents about Autism and Aspergers. Below I have made a Similarities & Differences chart including the diagnostic features for each disorder as seen in the DSM-IV-TR. Impairment in social interactions evident by impairment in nonverbal communication behaviors, development in peer relationships, lack of social/emotional reciprocity, and lack of seeking to share enjoyment or interests with other people. Restricted repetitive patterns of behavior/interests /activities evident by preoccupations with that is abnormal in intensity or focus, inflexible adherence to nonfunctional routines and rituals, repetitive motor mannerisms, persistent preoccupation with parts of objects. Impairment in communication evident by delay or lack of spoken language, impairment in ability to sustain or initiate conversation, repetitive use of language, or lack of varied, make-believe play (age appropriate/ course of development). Disturbance causes significantly impairment in social, occupational, or other important areas of functioning. No clinically significant delay in language or cognitive development or age-appropriate self-help skills (other than in social interaction). Want to know more?! Here are some helpful links filled with resources, information, ways to give, and events! Please Visit my disclosure and disclaimer page. SO important that you’ve done this and I had no idea that this is your field of work. 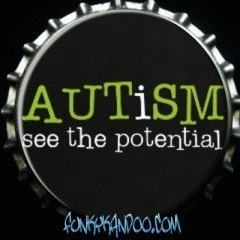 I have a not so close friend whose son is diagnosed with Asperger’s and I always wanted to understand this better. Really appreciate you taking the time.